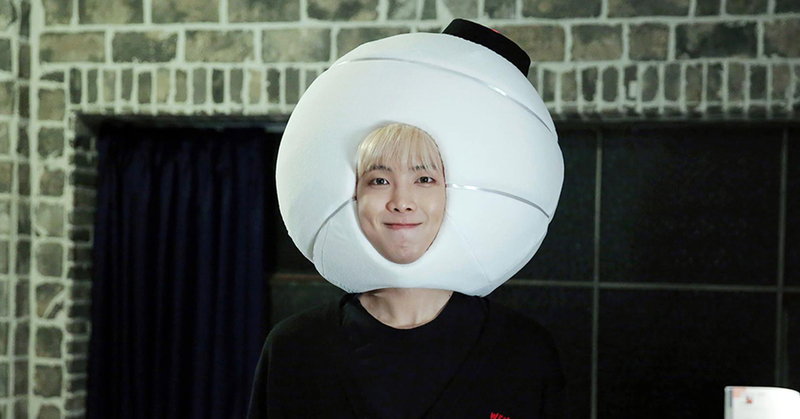 September 12 was BTS' leader RM's birthday. 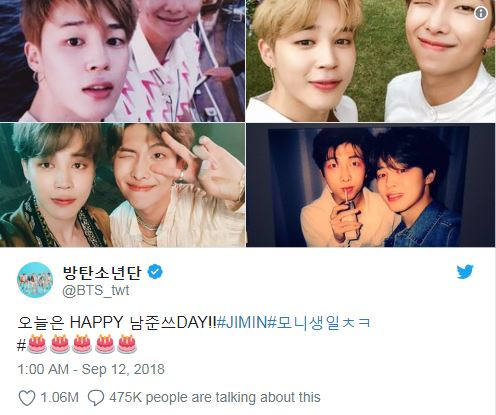 BTS members, who couldn't pass this day normally, celebrated RM's birthday by uploading playful pictures and videos of RM. 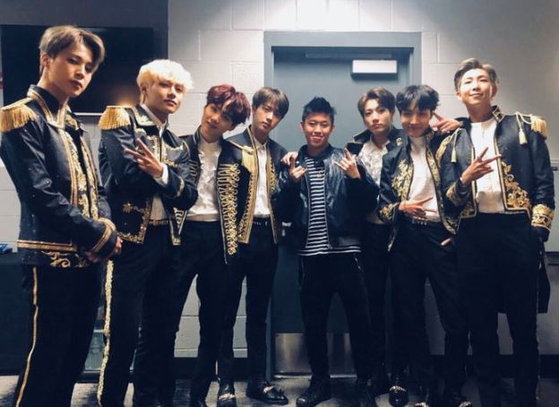 In a video clip, Jimin uploaded, RM is changing his outfits in the backstage. Once RM noticed that he was being filmed, he made an eye-rolling face, emitting his goofiness. Seeing him doing that, Jimin laughs out loud, saying, "You think I won't upload this video?" 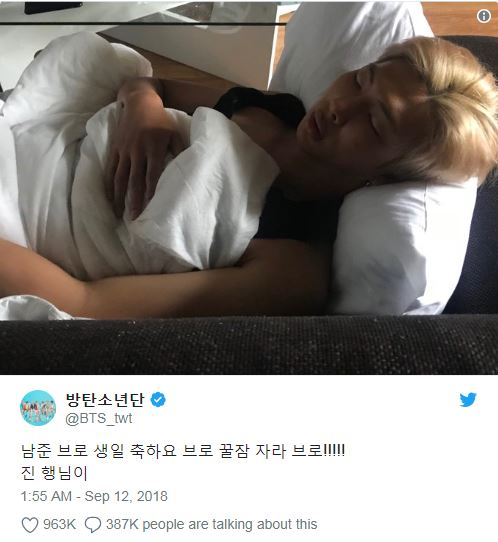 Jin uploaded a picture of RM, fallen in deep sleep. He looks like a baby who's never gonna get up even when somebody wakes him up. 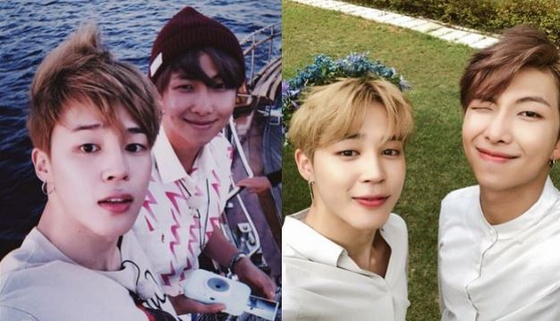 However, to not damage the reputation of the leader, members also uploaded normal photos. 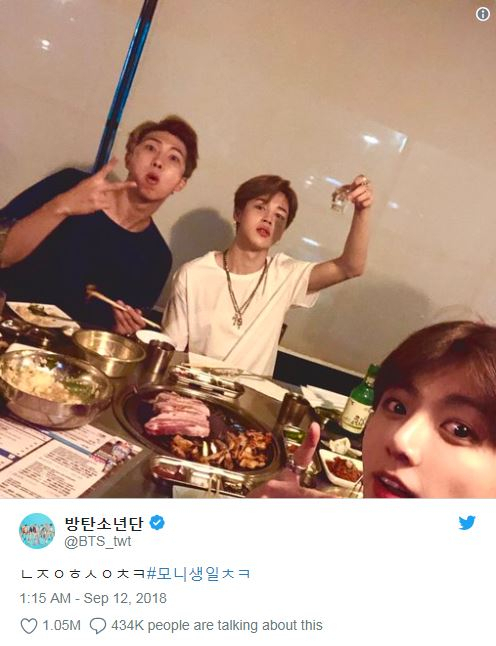 Jungkook uploaded a photo of himself with RM and Jimin drinking soju where the Korean caption said 'N J H H P B D' (Namjoon Hyung happy birthday). They look really happy eating and drinking. 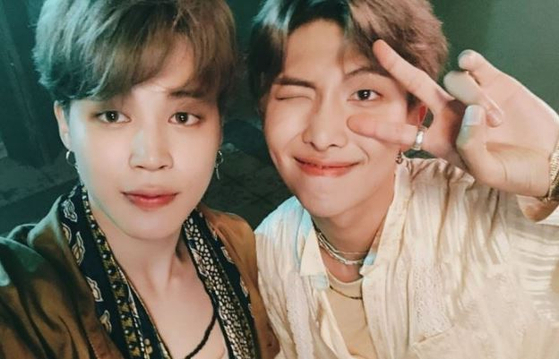 Not to be outdone, Jimin also disclosed photos taken together with RM and there definitely was an amazing chemistry the two had together. 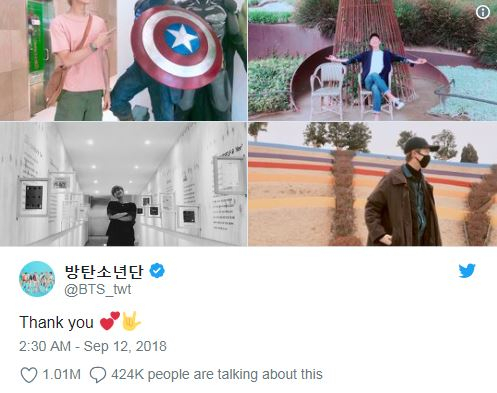 In response to all celebrations, RM thanked his fans for showing the love with a series of pictures of what he’s been up to. 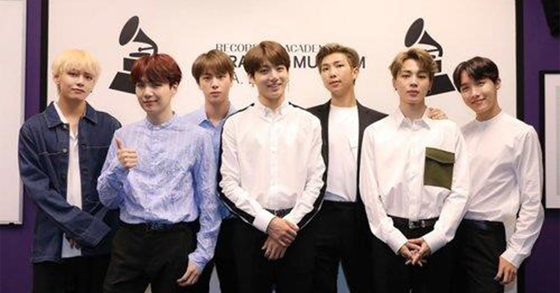 Currently, BTS is staying in the US for their LOVE YOURSELF world tour, and it will keep going until early next year. Moreover, the group is to guest on NBC's America's Got Talent on September 13 and is going to perform IDOL.